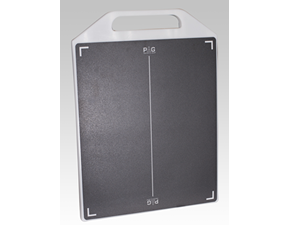 The Vertical Protect-A-Grid® DR panel grid encasement allows for safe and effective grid examinations within the direct radiographic modality. The PAG-DRP is a drop-on style that features a handle on the short axis of the grid. The encasement protects both the grid and the DR panel from any incidental damage that may occur.